One of the great features provided by the Android operating system is the Pattern lock which is avoiding accidental taps on the phone. 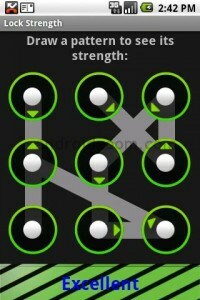 This feature should be activated first, by creating a pattern that will be used for unlocking the device. As any password, the pattern can easily be forgotten by the users which will start panic being unable to access the phone. There is one way to fix this. You will need to use ADB commands to bypass the pattern and get full access to your phone. Follow the steps below and learn how to do it. First, you should install ADB on your PC. Download it from the internet and make sure that you install it correctly. The program will work only if you have USB debugging enabled on your phone. After that, you will need to reboot the device and it is all done. You will be able to access your phone and create a new pattern or never create a new one.